You go to school to learn, of course, but how much learning takes place outside school? A lot, that’s how much. Only think of all you have learned outside the classroom. Think how you struggled to turn the idioms of that new language you were taking in school. What on earth did the French phrase ‘to sleep on both ears’ mean? It took a while to understand that it meant to sleep soundly. Think of the time you first tied your own shoes. Maybe you were four or five and sitting on your back steps, working away at the wobbly loops of those laces until, almost on their own, they executed a sort of pirouette and resolved into: a bow! 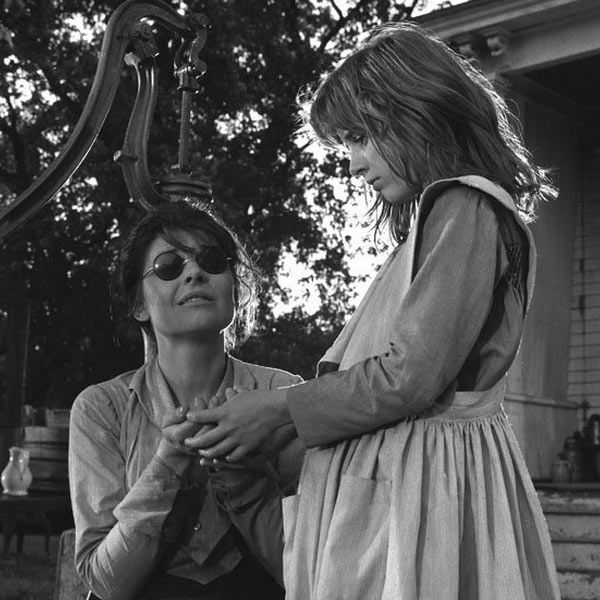 Remember the moment in William Gibson’s The Miracle Worker when young Helen Keller finally understands that there’s a relation between what is spilling over the palm of one of her hands from the pump and the movements being drummed into the palm of her other hand? When she ‘sees’ at last that one signifies the other? That this lovely cool stuff has a name, and the name is water? Helen Keller speculates in her autobiography that she made the connection in part because, as she learned much later, ‘water ‘ had been one of her first words at age one, just before a sudden illness robbed her of sight and hearing both. But in large part too it was the tireless repetition of the signs worked into her hand by her dedicated teacher Annie Sullivan. We learn so much through repetition: The multiplication table. The names of the state capitals. The principles that together build the precisely balanced scales that is mathematics. But other things we learn in other ways. We learn both by sudden insight, and by a slow sort of dawning. Take insight. Take the first time you really understood that poem you had to analyze for English class. You went along reading the thing, often distracted rather than helped by its rhythms, your eyes scanning along until – bang! you slammed into a word you did not expect. You thought ‘huh’? Then ‘ahhhh’! Because suddenly the poem’s tight little bud of inscrutability had opened like a flower, revealing fold after fold of meaning, layer after layer of beauty. As in the way you come slowly to realize that when you dislike someone almost on sight it is because of something you see, or think you see, in that person that reminds you of a part of yourself you have split off from or tried to deny. As in the way you come slowly to see that not hate, but a willed indifference is the opposite of love. Why live at all if not to learn? What would separate us from a pot of plastic daisies were we to stop even trying? I get so excited when the school year starts. We still have so much more to understand! 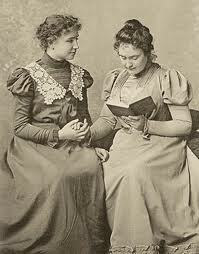 Now, under this picture of the real Helen Keller and her teacher, is the ‘water scene’ from that great 1962 film.